Payment: In order to confirm your booking, a deposit of 25% is required on the total cost of accommodation. The remaining amount must be paid in 3 equal installments. The final installment may be paid three weeks prior to your arrival. Travel insurance is strongly recommended as it covers not only cancellations on medical grounds or death, a doctor’s note would have to accompany any claim made against the travel insurance. Lost luggage is also covered and any medical expenses incurred while on holiday, in some cases repatriation and air ambulance is also provided under the conditions of the travel insurance. Accommodation: Accommodation is only for the use of those people named at the time of booking and if you wish to add members to your party, you should advise in writing, with any extra payment due. Accommodation is available to you at the earliest between 15:00 p.m. on date of arrival and we would appreciate that you vacate by 11:00 a.m. on date of departure. The accommodation cost includes: utilities, linen, towels and cleaning prior to arrival. Linen is provided 2 times per week. Any damage or breakage should be reported and appropriate payment made to our local representative, prior to your departure. We reserve the right to charge for breakage and damage not reported and discovered later. A 400 Euro returnable security deposit is required with the final rental payment or upon arrival and will be returned in full if no damage or loss has occurred. Elafonisi Villas does not accept any liability for any loss, damage, or additional expenses incurred by the client or any member of the client’s party regardless of the cause. 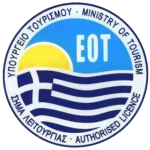 Elafonisi Villas does not accept liability for any injury, death, loss, inconvenience or damage, alteration, delay or cancellation of the booking as a result of war, threat of war, riot or civil strife, terrorist activity (threatened or actual), natural disaster, fire, sickness, weather conditions, action at an airport or port by any government or public authority, technical problems relating to transport and airport regulations caused by technical, mechanical or electrical breakdowns or with the client’s accommodation or other circumstances as amounting to ‘force majeure’ or Acts of God or other similar events beyond the property owner’s control. In addition, Elafonisi Villas is not responsible for any physical injuries caused to the customers during their stay at the property. The properties that Elafonisi Villas offers are not official tourist structures or hotels. Rather, they are private homes. Being such, they do not have standards or categories recognized internationally, but instead reflect in their architecture and furnishings the local traditions and personal taste of the owners. Furthermore, as private homes and not official tourist structures they do not adopt the safety rules of the hotels. Customers much accept differences in the properties, be them architectural or cultural, relative to their own homes.It is, therefore, highly recommended that the customers purchase comprehensive travel insurance prior to their trip. EXTERNAL MAINTENANCE: The owner or his/her representative have, if necessary, free access to the property for essential maintenance purposes (garden, swimming pool, etc.). COMPLAINT: The enjoyment of your holidays is of prime importance to us. If you have a problem, you should immediately report it to our representative in Livadia (details of which are included in your travel documents), while you should inform Elafonisi Villas via e-mail on the exact problem so that we have the opportunity to resolve the issue immediately. If we are not aware of the problem or complaint we cannot begin resolving it. NUMBER OF PERSONS: The number of persons (adults and children) may not exceed the maximum number of sleeping places indicated in the property description. WE RESERVE THE RIGHT to cancel the booking if the balance is not paid by the due date. Conditions: When accepting your booking, it will be understood that you are agreeing to the Booking Conditions on behalf of all members of your party. Statement of client – tenant: I have read and understood and we agree to accept and abide by the terms and conditions of booking as detailed on behalf of all persons for whom booking is made and I confirm that I am authorized to act on their behalf. JURISDICTION: In the event of controversy arising from the booking and property rental, only the Chania Crete Courts can deal with the matter. By confirming the booking, the customer implies that thevillas.gr Rental Conditions have been understood and have been accepted without reserve and without exception. If any of the conditions of this contract have become invalid or were invalid or if in this contract there should be a gap, the other conditions cannot be contested.